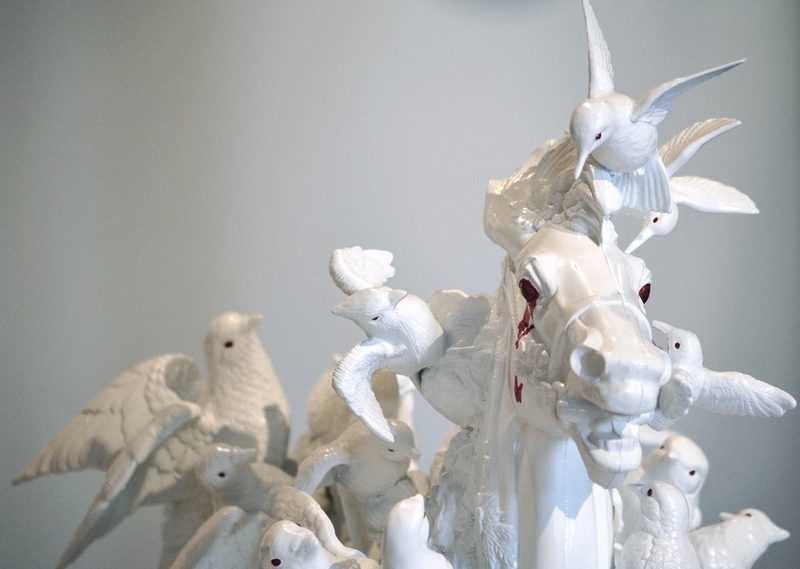 Remnants is an ongoing project that looks into tchotchkes—porcelain items left in thrift stores or antique shops. I approach tchotchkes as found objects and as a source of material. Through fragmentation and extraction of the original materiality and through reassembling porcelains together to create new artifacts, a simulacra results that is distinctive from its original function and context. This project considers the porcelain tchotchkes through Walter Benjamin’s concept of ruins: what survives and what remains are ghostly experiences, out of place and out of context, their sacred notion is lost, only melancholies alienated from the here and the now remain.